The effort to uncover, identify and study the Captured German Records is getting a lot of attention lately. Captured German Records include: SS, Wehrmacht, Heeres, NSDAP (Nazi), Personnel Records, Aerial Photographs, Foreign Military Studies, German Technical Manuals and more. Actually the microfilm NARA Finding Aid collection is described in over 100 volumes of finding aids ("German Guides"), and the Library of Congress Finding Aid of Captured German Record Manuscripts is also impressive. The original records were returned to the Federal Republic of Germany at the German Bundesarchiv-Abteilung Militaerarchiv in Frieburg/Breisgau, but the NARA has a microfilm copy of the collection. Although most prefer to hire military and NARA expert researchers who are familiar with the various collections and repositories that hold the various records, some may find the thrill in uncovering records DIY (do-it-yourself) style. So for those who wish to tackle this project, know that the NARA collection of WWII Captured German Records consists of over 70,000 microfilm rolls of original German records. There are over 993 microfilm rolls of the German Army High Command - Oberkommando des Heeres/OKH (link to T78), and 1,581 rolls of Oberkommando der Wehrmact/OKW (link to T77) microfilm. So where should you start? Library of Congress (LOC). Although researchers would hope for one comprehensive set of records held in one repository, it is not the case. Even within the LOC, researchers must be quite familiar with the various divisions. Begin with the Finding Aid in the Manuscript Division, but, don’t forget the Map and Cartho Division at the LOC. Detailed WWII aerial photographs or topographical maps of towns, regions and battle areas are often designated on the German maps. 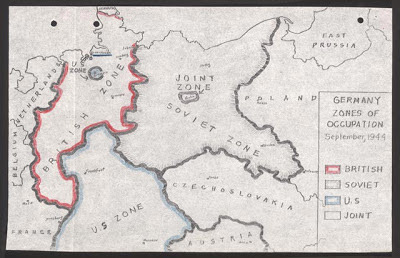 The WWII German occupation collection of maps is not available online. 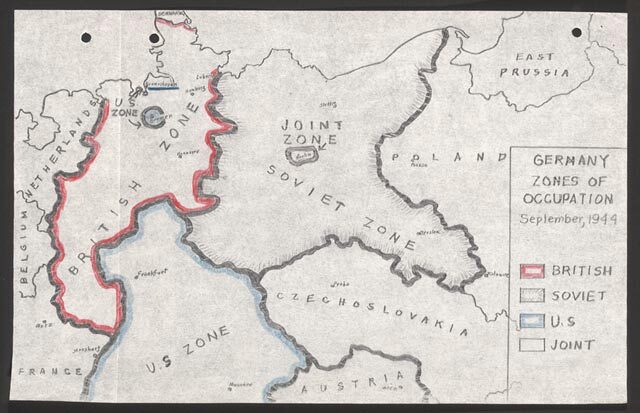 Be sure to visit the WWII Aerial Photos and Maps website.This online collection has an extensive collection of maps spanning from Pre-War Topographical Maps to German and Russian Situation maps. If you are looking for a specific German Grave, you may wish to try the Volksbund website: This easy to use searchable database is in German. Know that with access to WWII era German map paired with research in the Oberkommando der Wehrmacht records and Oberkommando des Heeres/OKH records at the NARA, researchers may also pinpoint the area of a grave or burial site. The World War two is one of the most historic events that happened to mankind. This has been known to be the greatest struggle and the deadliest battle that the world experienced. During the war a lot of lives were lost and most of the victims are the innocent ones.